Mosquitoid, from 2013's Galaxy Squad. Came in sets #70701, #70702, #70705, and #70709. missing his wings and antennae. You have #70700, #70701, and #70705 from Galaxy Squad in the lower right corner. 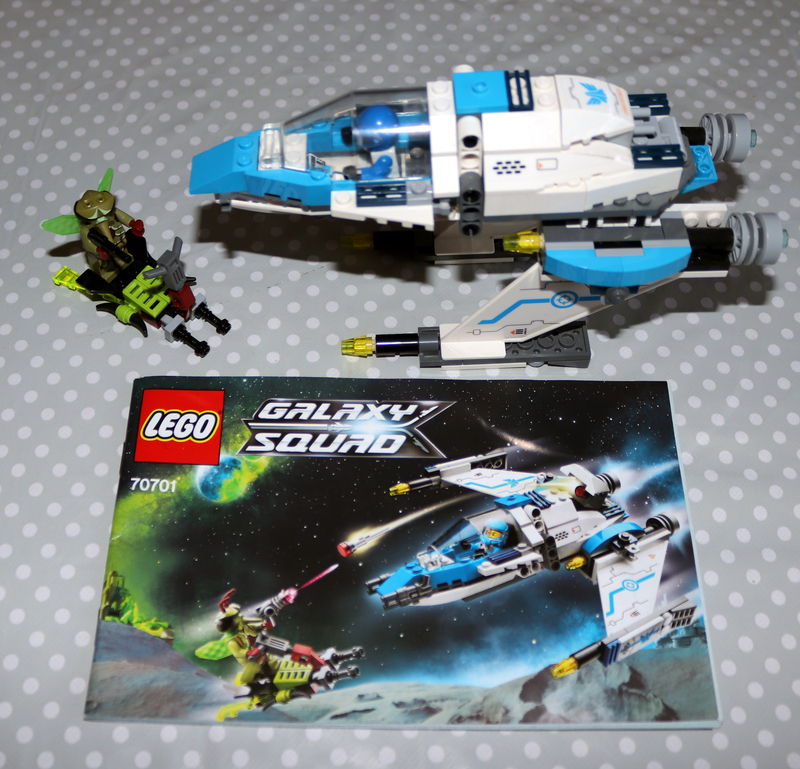 Missing the alien minifigures from #70701 and #70705 (they look a little like mosquito-men). [US] Wal-Mart clearance sets in northern Columbus, OH. #70707 as $39.99. I'd buy that for $20. Also, #70701 is listed for $21.99. I've been wanting to pick another one up and would definitely do so for $11. (US-IL) Galaxy Squad Clearance!! WHOLE theme! Complete set! Hey all - I love my Lego, but the wife has decreed that if I want other stuff, then some of what I have has to go. I just noticed the agent in #70162 Infearno Interception has the same name as the guy from Galaxy Squad, e.g. in #70701 Swarm Interceptor.